Bodysurfing is the art and sport of riding a wave without the assistance of any buoyant device such as a surfboard or bodyboard. 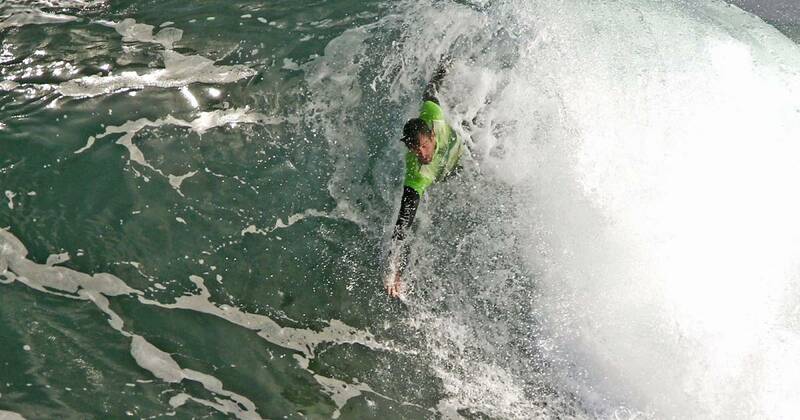 Bodysurfers typically equip themselves only with a pair of specialized swim fins that optimize propulsion and help the bodysurfer catch, ride and kick out of waves. In the 15th century, Leonardo da Vinci experimented with various devices to improve the human physical condition: wings, vehicles and swim fins. At the same time, Hawaiians were leaving petroglyphic records of their wave-riding prowess. Colonial Americans were not known for their agility in the water. A Boston newspaper reported, The most frequent use of the harbor is for transport, and drowning. But one 11-year-old boy loved to swim. 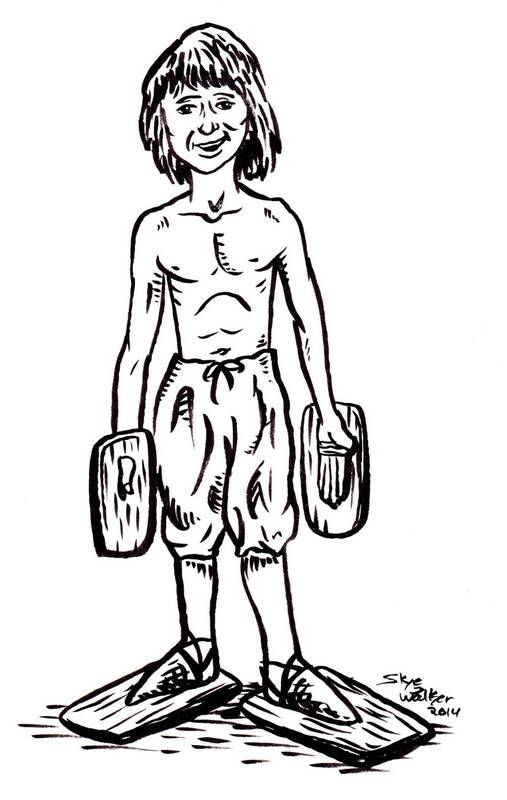 The ingenious child strapped thin planks of wood to his feet and hands, thus increasing his speed and efficiency in the water. Young Benjamin Franklin had discovered the swim fin. 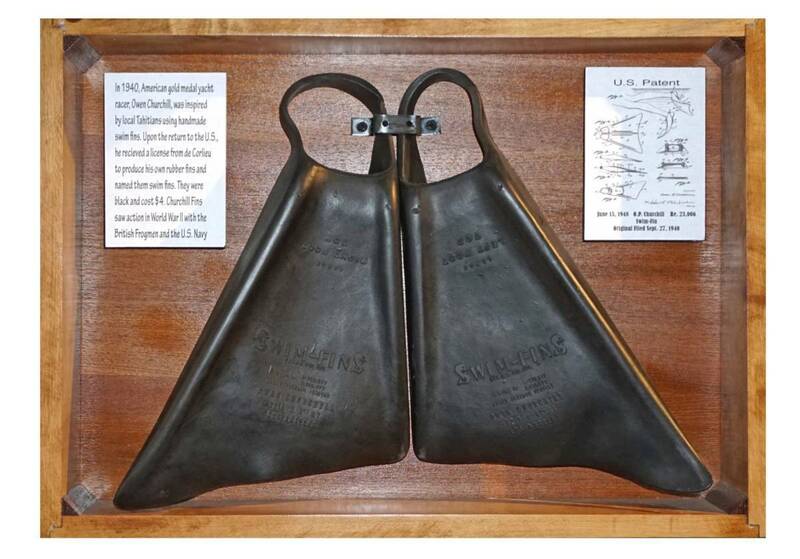 In 1940, American gold medal yacht racer, Owen P. Churchill, was inspired by local Tahitians using handmade swim fins. Upon return to the U.S., he received a license from de Corlieu to produce his own rubber fins and renamed them swim fins. They were black and cost $4. Churchill Fins saw action in World War II with the BritishFrogmen and U.S. Navy. After the war, Churchill’s team developed a process that made the fins buoyant and allowed for the addition of color. Green, floating Churchills then hit the market. 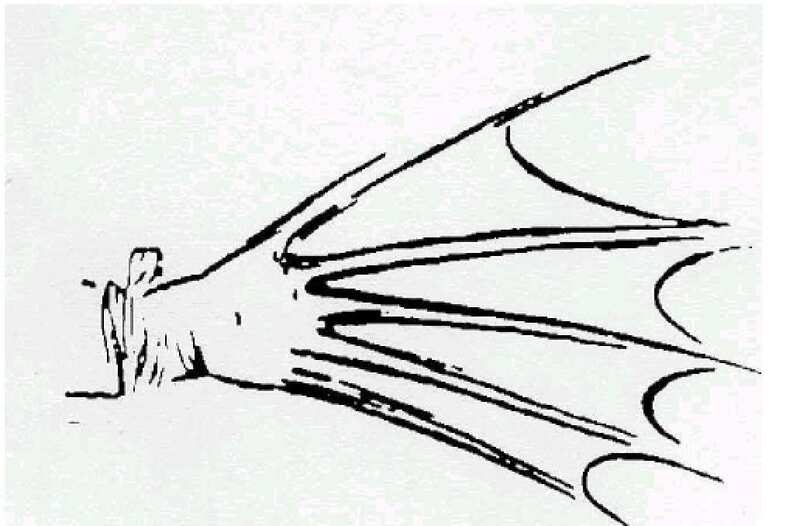 According to Owen Churchill’s patent, DzThe feet and legs of a human being were not designed by nature for swimming … and the use of my invention converts the feet into swimming members of correct hydrodynamic structure and design. They’re known as handboards, handplanes and sometimes even handguns. The sport grew from humble beginnings. Just about anything flat enough would give handboarders their fix in the early years, clipboards, flip-flops, frisbees and even McDonalds plastic food trays were viable options. Unlike surfboards they are not a floatation device, rather a planning device. They float and can easily plane on the water and slice through when needed. It allows the rider to ride higher and faster. 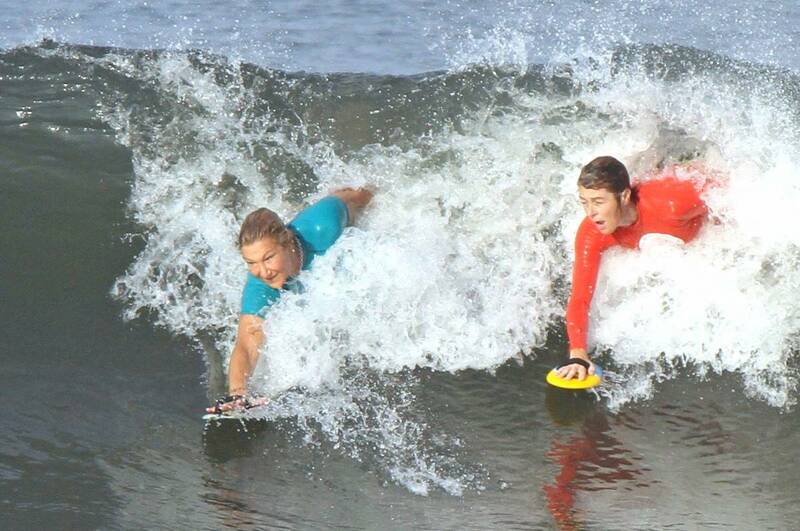 Simply hold it and slide down a wave.